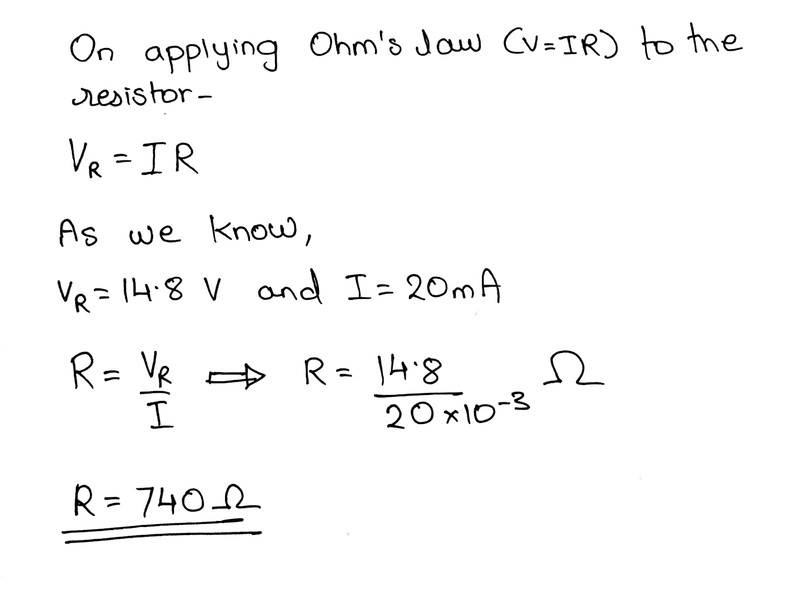 If you found the resistor to be 740 Ohms- 1/2 Watt, congrats! If not, continue reading below to understand how to go about such problems. 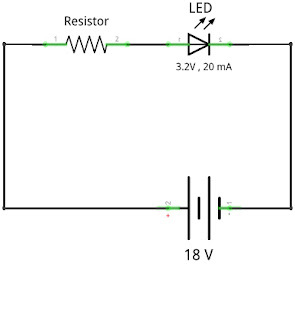 Firstly, notice that the circuit is simple one closed loop without any parallel paths. 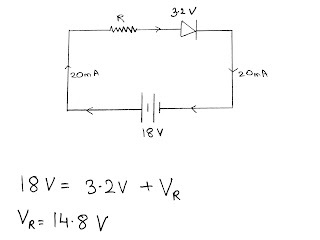 We are given the fact that LED is rated 20mA at 3.2 V.
So the current flowing in the entire circuit would be 20 mA as there is only one path through which current can flow. Let's recall a simplified version of Kirchoff's loop rule, discussed in the previous question. GOLDEN RULE- More simply, the sum of the emfs in any closed loop is equivalent to the sum of the potential drops in that loop. 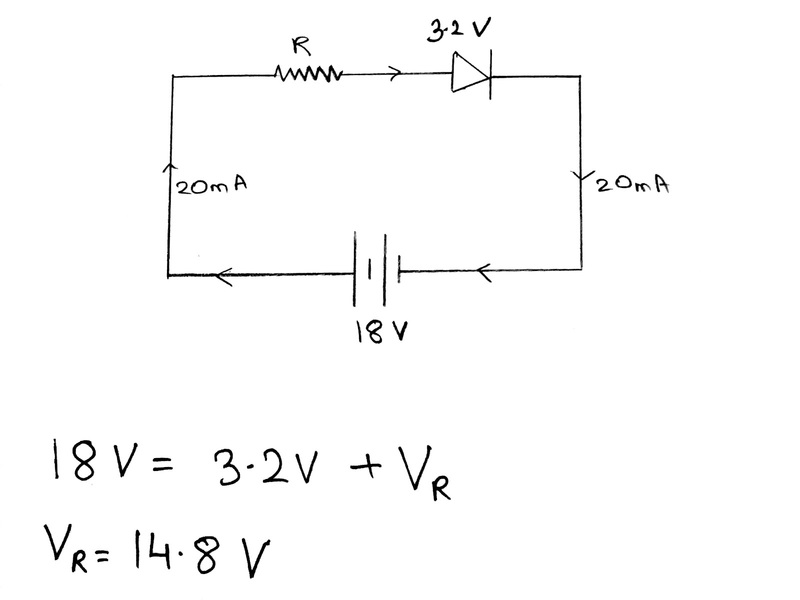 So, the voltage drop across the resistor must be 14.8 V.
Or in simpler words, " The LED needs to be fed with 3.2V and the battery provides it with 18V, so the resistor must eat up the extra 14.8V "
Therefore, the value of the current limiting resistor must be around 740 Ohms. 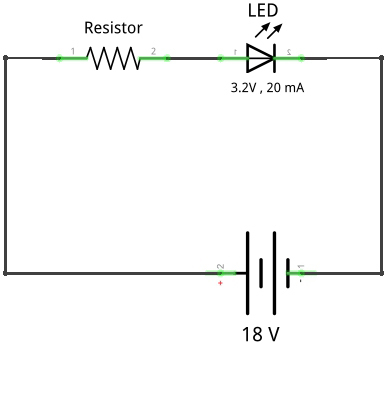 For this a 1/4 (or 0.25) Watt resistor would get heated up and may eventually start burning. A 1/2 Watt resistor would do the trick! 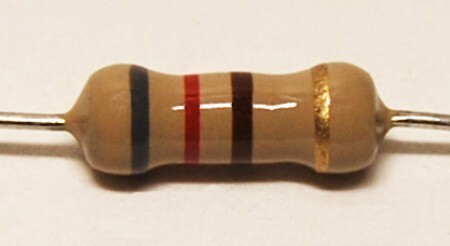 We can use a standard value resistor of 820 Ohms which is available at the stores. 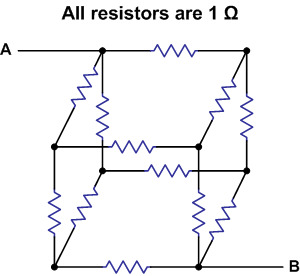 Hope this article equipped you with the basics of Kirchhoff's Epic Laws! Check out a more challenging question here. You make figuring electronic problems way to complicated. Keep it simple without thinking like an airhead Engineer. 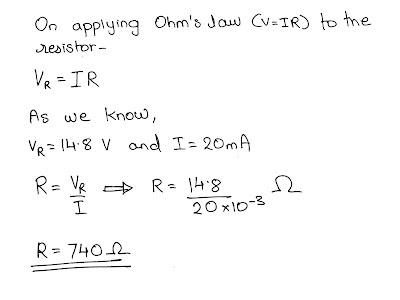 Thanks pal, I finally understood, how to calculate resistor. Really great and don't bother with anyone ho knows it long time.